The trip lasted for three weeks, in which we spent our time inside the office from 8 am to 5 pm. After that we were free to go and did some sightseeing in the local areas near out hotel. During the weekends, we visited downtown Shanghai and the ancient town of Xitang. Especially the business district of Shanghai, the Pudong area, with its many skyscrapers was well worth the visit and a joy to photograph. 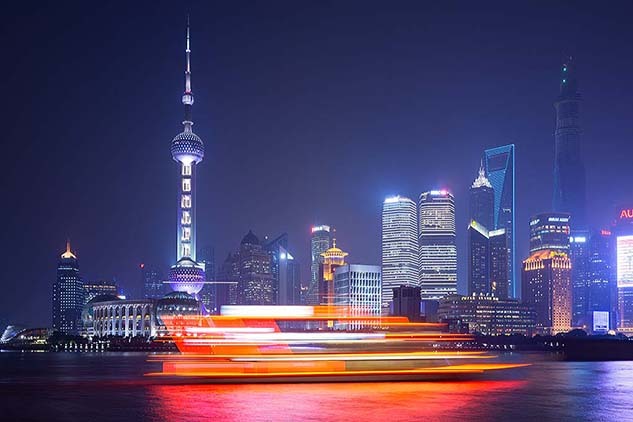 Downtown Shanghai is a mixture of the modern world and the traditional Chinese way of life. Luxurious shopping malls in one street, small markets and outdoor sales just around the corner. This place is buzzing. And learning to appreciate the Chinese cuisine can be done as long as the menus are in English, supported by pictures!